Suzuki Baleno 1.0 Boosterjet SZ-T 5dr 2019 Review | What Car? What Car? will save you at least £2,505, but our approved dealers could save you even more. 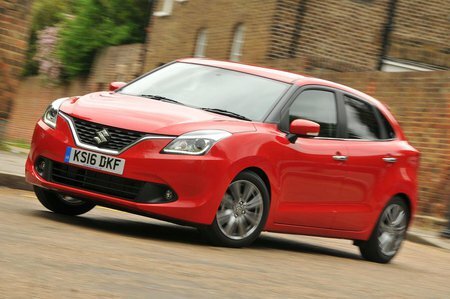 This may be the entry-point of the range, but Suzuki hasn’t scrimped on standard equipment. You get 16in alloy wheels, air-con, front electric windows plus a touchscreen infotainment system with a DAB radio, Bluetooth and even sat-nav.